Before the meeting, you will usually find members preparing for the meeting and greeting guests. Our Sergeant-at-Arms, in particular, will be very pleased to meet you. Please feel free to approach any club member for guidance and support. 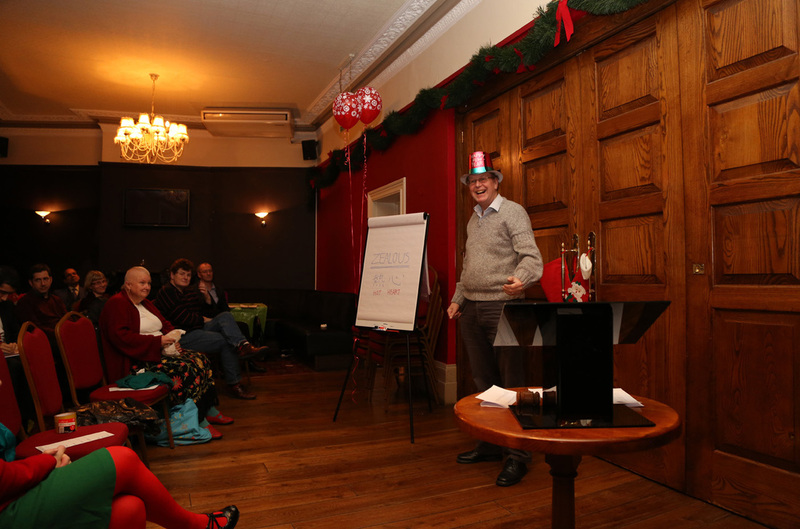 The Club President opens the meeting at 7:15pm and then hands over control to the Toastmaster. 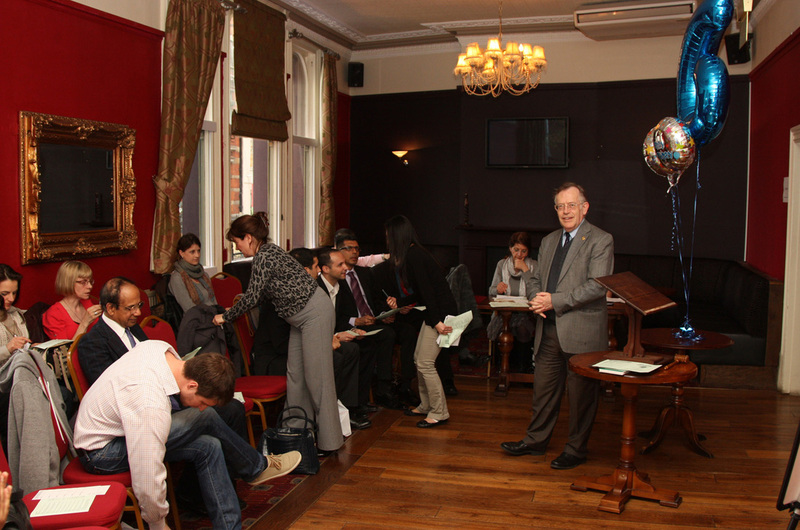 A regular meeting at West London Speakers is divided into two halves, with a ten minute break in between. The first half of the meeting is dedicated to introductions and the impromptu speaking session also known as 'Table Topics'. The impromptu session is run by the Topics Master. Prior to the meeting, the Topics Master will have gathered volunteers to participate. During the session, the Topics Master introduces a surprise topic for each volunteer to speak about, inviting each volunteer in turn. The volunteer aims to speak, for between a minute and a minute and a half, on the assigned impromptu topic, covering any subject chosen by the Topics Master. 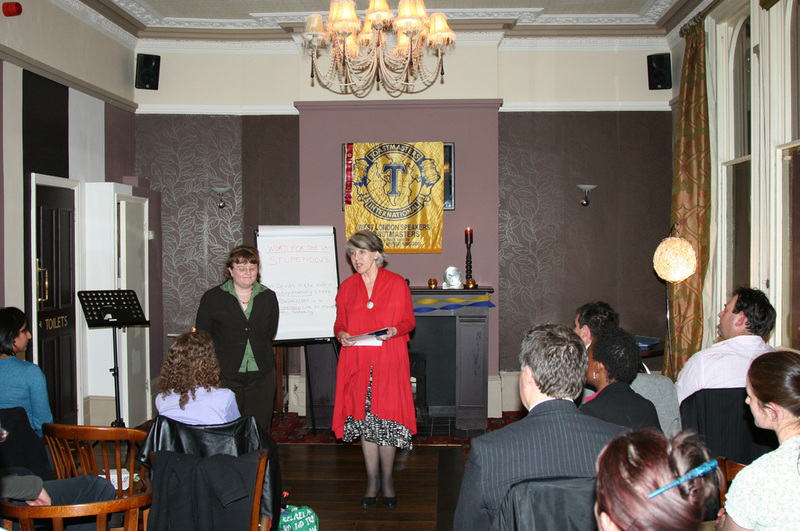 Practising impromptu speaking is a great opportunity to learn how to think on our feet in front of an audience. Although daunting, participants and audience members find this to be a very entertaining as well as a challenging part of the evening. Audience members are invited to vote for the best Table Topics speaker. The second half of the evening centres on the prepared speeches. Four speakers deliver prepared speeches that vary in length from 4 to 12 minutes according to the assigned speech project. Every speech is evaluated by another member. Following delivery of the prepared speeches, 3 minute evaluations are then delivered in the form of structured speeches. The evaluations aim to encourage speakers by informing what has been done well and what can be done better, and how. Evaluations help to develop good listening and analytical skills, as well as good leadership skills through giving support to fellow club members. 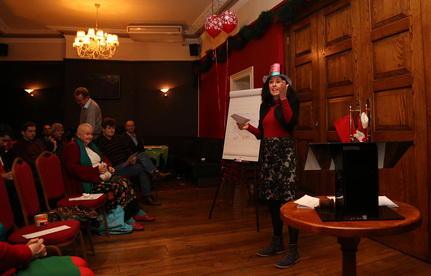 Audience members are invited to complete feedback slips that are handed to the speakers, and to complete voting slips for the best prepared speech and the best evaluator. The final part of the meeting includes a 3 minute Grammarian report giving feedback on the effective use of language delivered during the evening. 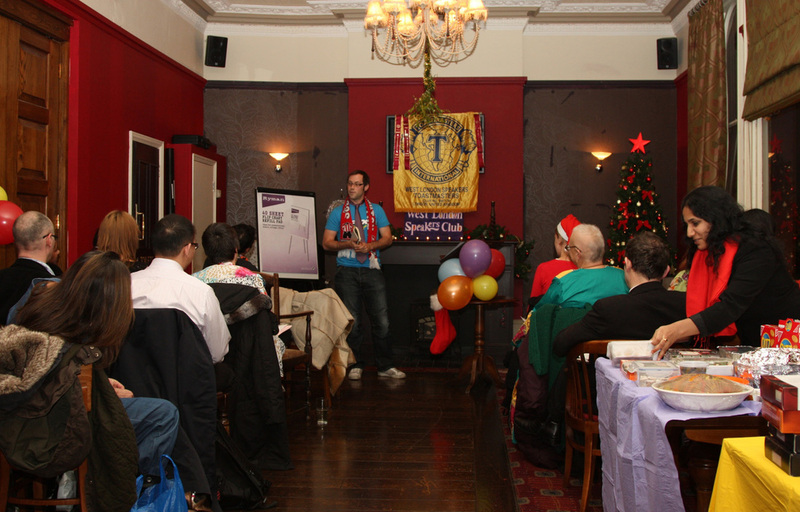 This is followed by the General Evaluation report, typically delivered by an experienced speaker from another club. The Club President awards ribbons to the best speakers of the evening based on the audience votes, and closes the meeting. 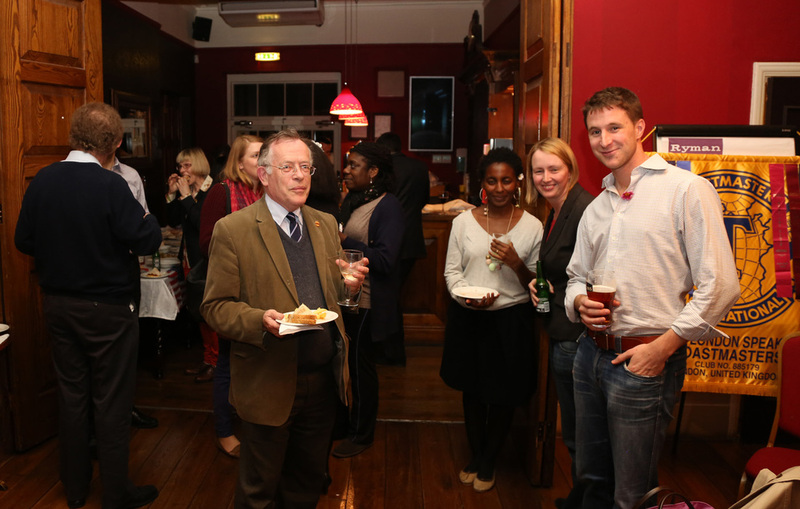 At the end of evening, we retire to the bar for some drinks and joviality!